Senator Kirsten Gillibrand joins what is expected to be a crowded primary field for the Democratic presidential nomination in 2020. 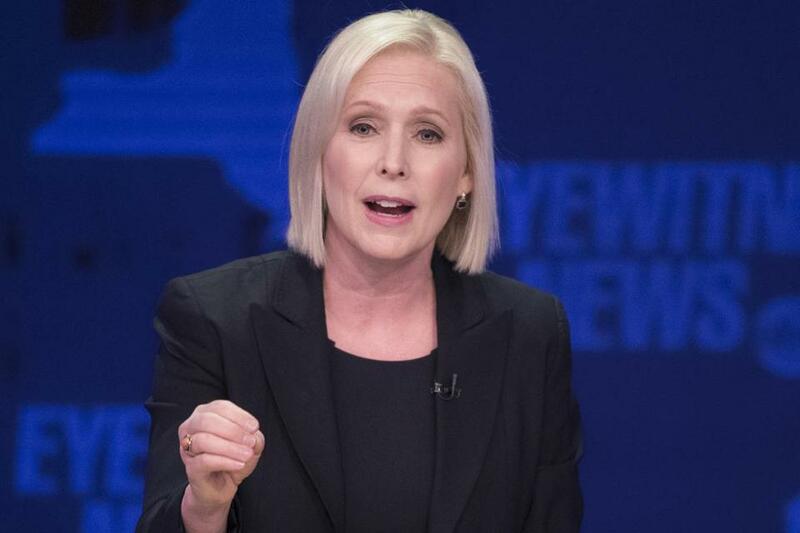 NEW YORK (AP) — Democratic Sen. Kirsten Gillibrand took a major step toward announcing a 2020 presidential bid Tuesday, saying she is launching an exploratory committee for a White House run. ‘‘It’s an important first step, and it’s one I am taking because I am going to run,’’ the New York senator said on ‘‘The Late Show with Stephen Colbert.’’ She listed a series of issues she'd tackle as president, including better health care for families, stronger public schools and more accessible job training. ‘‘I'm going to fight for other people’s kids as hard as I would fight for my own,’’ said Gillibrand, a mother of two sons, ages 10 and 15.